How to open JPEG files in Adobe Camera Raw. Most people would of heard of the Adobe Photoshop Camera Raw plug-in (ACR) for processing RAW files from digital cameras, but it is a little known fact that ACR can be used to open JPEG files as well. 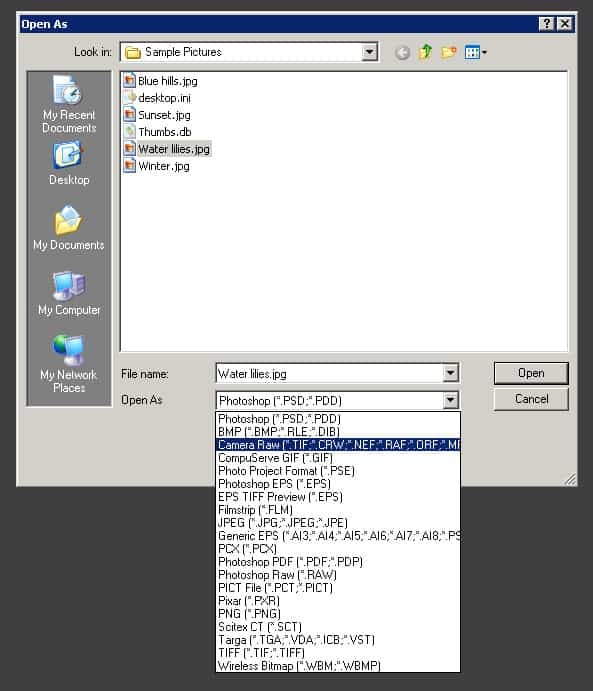 From the File menu, select Open as… When the dialog appears, select the file and then select Camera Raw as the file type. Click Open to show the ACR dialog. 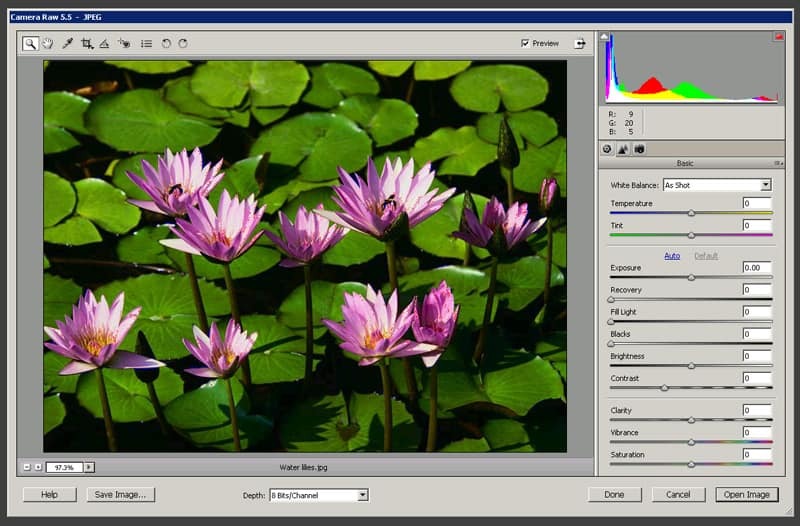 The ACR dialog can now be used to edit the JPEG image. Note that this is not a substitute for capturing your images in RAW format in the first place. ACR can not recover what was lost during the in camera conversion to JPEG; this is simply an alternative means of editing JPEG images. The version of ACR in the full version of Photoshop includes features like curves and channels, and I was hoping that this technique may have been a way of having those features in Elements; alas it was not to be. The version of ACR in Elements has some nice features, but not all of those found in the full version.